Really, between the Oppo Find X, the rumored Oppo Reno, and this patent uncovered by Lets Go Digital, Oppo seems to be aiming for total pop-up supremacy. 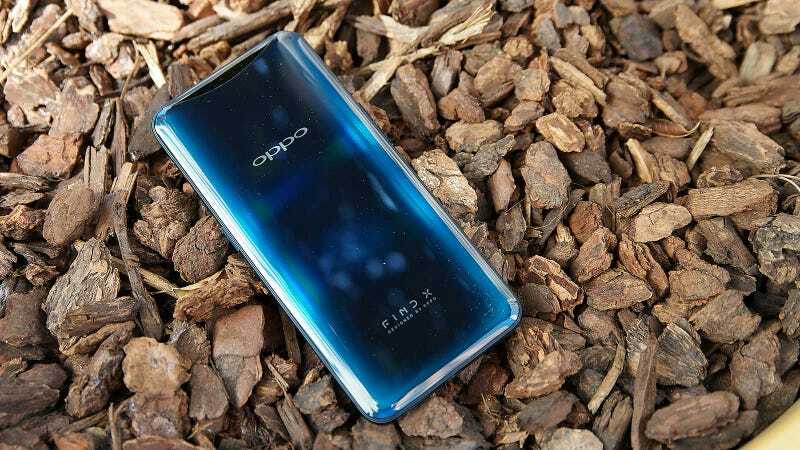 On top of that, it seems Oppo isn’t just limiting itself to one style of pop-up screen either, as the patent describes a screen that could either extend up from the back of the phone or out to the side. However, unlike a pop-up camera which is really only designed to do one thing, a pop-up screen would seem to offer a much wider range of possibilities. The extra display could be used as playback controls for music or movies, a physical drawer for displaying all your apps, or even a superpower notification tray. And on phones with a screen that extends out to the side, that bonus display could be used to support on-screen controls while gaming so your hands don’t cover up valuable screen real estate in titles like Fortnite or PUBG Mobile. And while the idea of a pop-up screen on a phone seems kind of wild, if you think about it, it’s really just the return of phones like the Sony Xperia Play or old Motorola Droids that featured sliders with built-in gamepads or keyboards instead of screens. Additionally, Oppo’s theoretical pop-up screen could be seen as an alternative to upcoming phones with flexible displays like the Samsung Galaxy Fold and Huawei Mate X, offering somewhat similar capabilities but with potentially better durability and lower overall prices. Now with this just being a patent, there’s always chance these ideas never leave the drafting table. Though based on Oppo’s history of making innovative concept devices, I wouldn’t be surprised to see these patents become real sometime in the not too distant future.